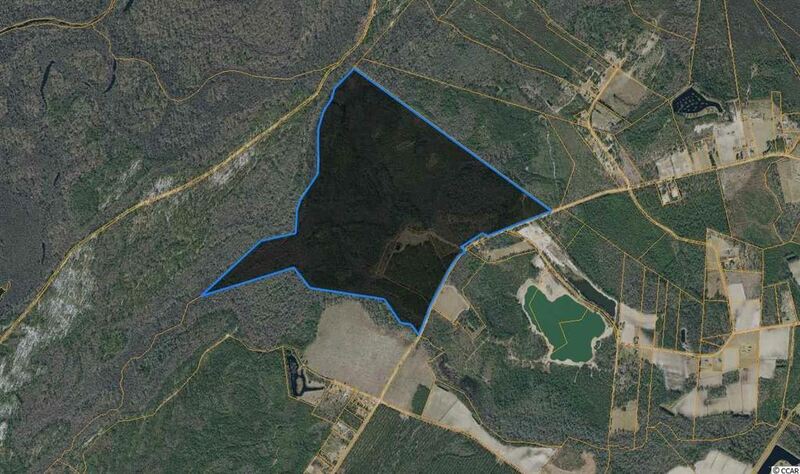 One of the largest available tracts in Horry county with timber, cleared area, owners' cabin, and +/-60 acres of lakes. Located 50 miles from Myrtle Beach and close to Hwy. 501 and the Pee Dee River. Priced to Sell. Look no further! Your country estate on 14 +/- acres awaits! Enjoy this sprawling 4 bedroom / 5 bath executive home with many bells and whistles! The stone accent greets you as you walk into this fine home with a home office with custom wood work, formal dining room, butlerGÇÖs pantry, two story family room with bar area, dream kitchen with large island, gas stove and top of the line stainless steel appliances. The yoga room, laundry room, guest room and oversized screen porch complete the first level. On the second level the master suite is truly a must see with his / her closets, dream master bath, 2 additional bedrooms and bonus room. This home must be viewed to appreciate the quality and setting! DonGÇÖt delay! Please don't miss seeing this property before you decide on your home purchase. Upgrades that will impress you. Foyer, formal dining room, formal living room, spacious family room with a fireplace and built-ins. Beautiful hardwood flooring downstairs. Kitchen has a gas stove, granite countertops, stainless appliances, wine rack, breakfast bar and a breakfast area which leads out to the sunroom where the Sellers enjoy their meals overlooking the large patio area which is fantastic for entertaining or just relaxing. Master bedroom and bath are downstairs. Upstairs there are 3 bedrooms plus a den/office area. Everyone could have a use for the 32'X24' detached garage with 16 feet ceiling height that could house your large boat or extra cars. Also extra storage under the double carport. 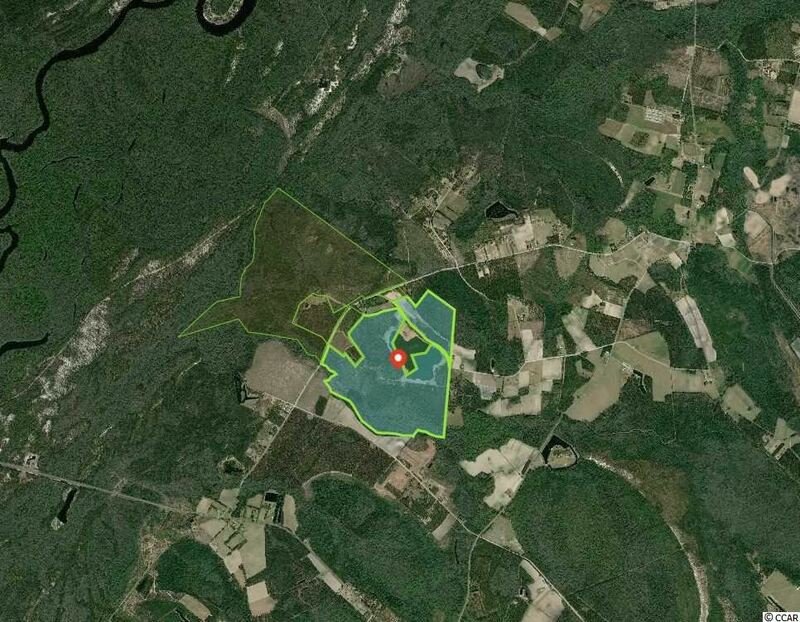 Country living at it's Best on your own 55 acre farm loaded with wildlife and a 10 acre stocked pond with 10 Lb. Bass. Plenty of room for all your pets, livestock and toys and NO HOA. The entire property is fenced in with additional sections for livestock. This 3 BD/2 BA has a formal dining room and kitchen with a new stainless steel refrigerator and dishwasher. The island range and hood are perfect for entertaining with plenty of room for guests and a beautiful view of the pond. Master bedroom with Master Bathroom has a double vanity, shower and garden tub and new wood floors. Bedroom 2 and 3 are good sized bedroom with closets. Still only a short drive to the beach. Address: 4690 J H Martin Rd. 4690 J H Martin Rd. A fabulous home with upgrades throughout on a one acre lot. Located in the country with a guest house, in-ground pool and a wonderful back porch. It's a home you will consider your "Happy Place" Crickets and birds are your closest neighbors. Master bath is newly remodeled in 2018. There are 2 bedrooms downstairs and two upstairs plus a bonus room. Eat in kitchen and formal dining, crown moldings, tile and wood flooring. Guest house has 2 bedrooms, 1 bath, kitchen, dining room, living room and a garage. Perfect for a mother-in-law and presently used as his perfect man cave. Pictures are nice but seeing is believing. What a gem! 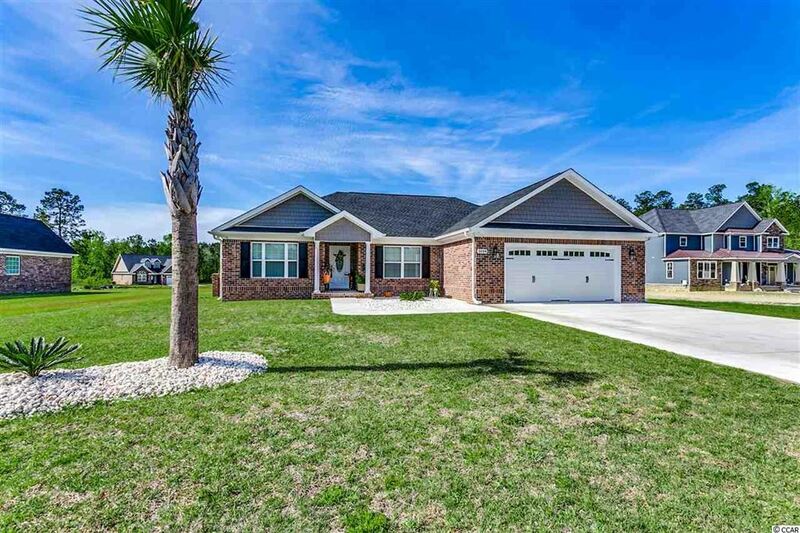 This custom-built, 4 bedroom, 2 and a half bath home with attached 3-car garage is located in Galivants Ferry SC. It sits on 2.7 acres of land allowing plenty of room to enjoy both front and back yards. Granite counter tops, kitchen work island, barn wood accents and whirlpool master tub are just a few details that make this home so desirable. The home also has an 8x8 laundry room, office/bonus room, his and her walk-in master closets, screened-in back porch and an unfinished 11x45ft bonus room above the garage. Detached 20x30ft shed also included. This is a MUST SEE! Do not miss your opportunity to make this your home! Here is the home that you have been looking for in the highly sought after Aynor School District! 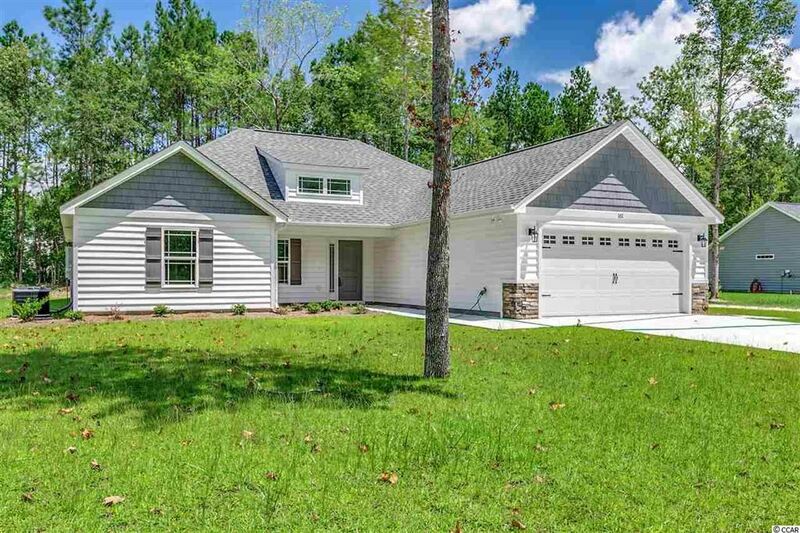 Why buy a home on a tiny lot when this home is situated on 2.8 acres? 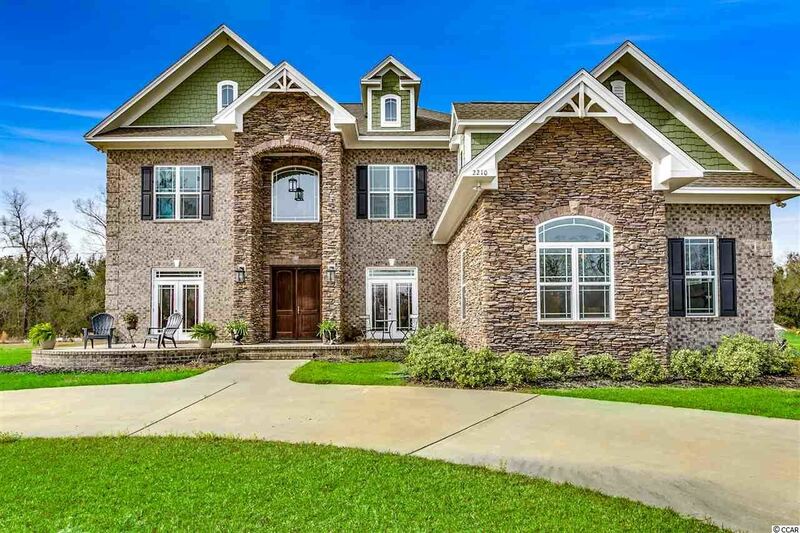 This brick home is bordered by a beautiful creek and natural woods on one side assuring your privacy. As you step onto the spacious front porch, you will begin to appreciate the tranquility that makes this area so appealing. 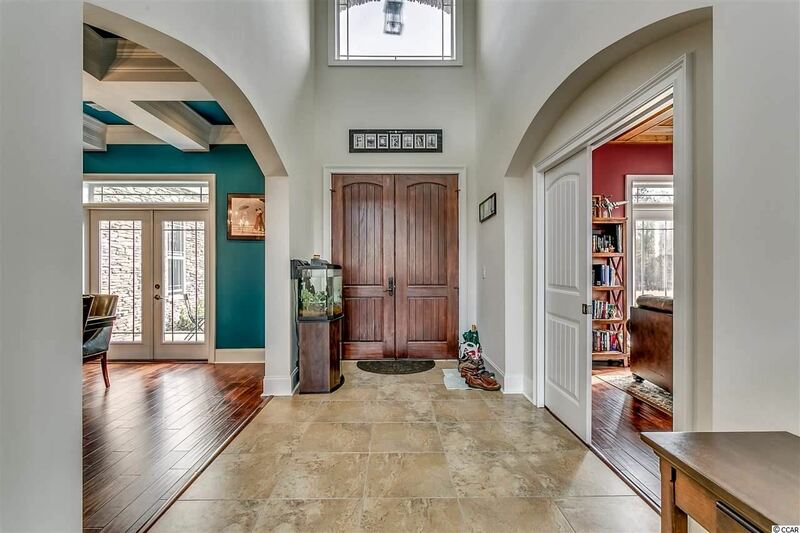 As you enter this immaculate home, you will be amazed at the large rooms and abundant storage. If you are looking for a massive kitchen, then this is your home. At over 250 square feet, this kitchen has room to entertain and plenty of storage. Step into the master bedroom and fall in love with the layout, space, and the two large master closets! And if the first level isn't large enough, the second floor is wired and insulated with spray foam insulation, ready for your extra bedrooms, bonus room, office, bathroom, or all of the above since it has over 1100 square feet of space. Don't forget the attached 2 car drive through garage with attached storage that also has a garage door. 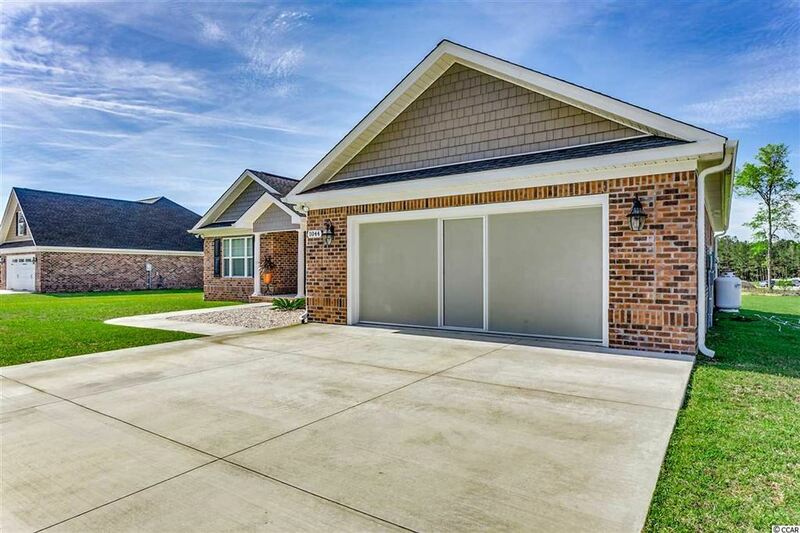 This home has the room to roam outside, room to relax inside, and even room in the garage and storage area for your toys. All of this with no HOA, and in the award winning Aynor School District. Make this home a must see! Recent price reduction and ready to sell! 4BR/3BTH all brick home on nearly an acre with in-ground fiberglass pool in the Aynor school district. Ten foot flat ceilings, cul-de-sac lot, crown molding, stainless appliances, upgraded flooring, garden tub, oversized shower, double vanity, master walk-in closet, carriage style garage doors, powder coated maintenance-free aluminum pool fencing with concrete retention wall, cool deck pool area surfacing, and more! 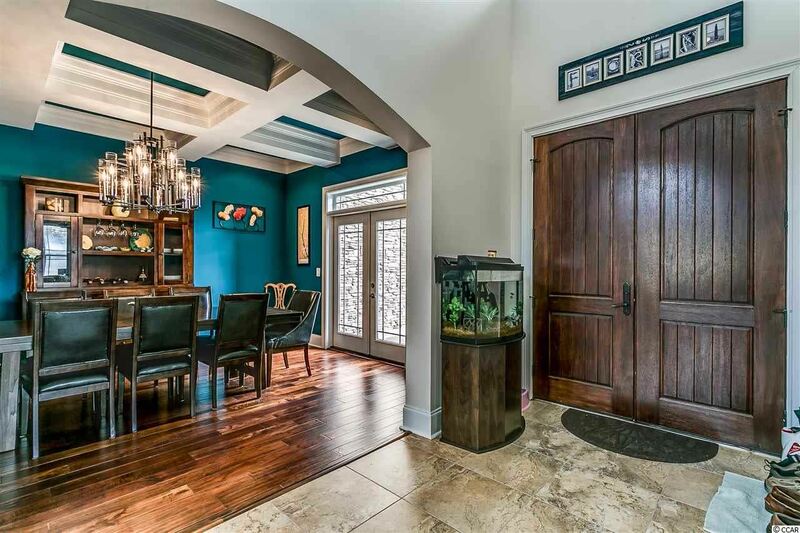 This home is mega-upgraded, and is a must see. Give us a call today before it's gone! The Brickyard, located just outside of Aynor SC, offers large home sites and custom built homes for a comparable price as a small lot and home in a cookie-cutter subdivision. In The Brickyard, all home sites are half acre and larger, and offer enough room for a detached garage, swimming pool, kids play area or garden. Landscaped brick columns adorn both entrances to the community, and wide, curb and gutter streets meander through mature Southern Pine, Maple, and Oak Trees. Ornamental street lamps light the way for a pleasant afternoon bike ride or jog. A golf cart ride up the street, leads to AynorGÇÖs community pool, parks, schools, churches, and local merchants and eateries. Visit us on the web for model home hours. If youGÇÖre desirous of a relaxed small-town lifestyle, take a look at Aynor, the GÇ£Gateway to the Grand StrandGÇ¥. The Brickyard truly is a break from the norm! 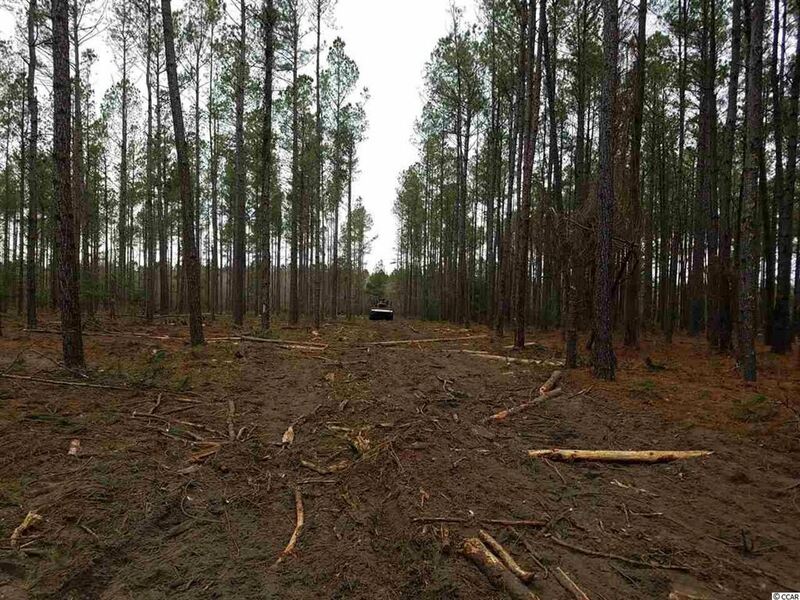 With almost 36 acres and land on both sides of two roads this property is offers tons of potential. High and dry- while featuring a natural creek and amazing view of the marsh. Enter the driveway on Tyler Rd to view the cleared center area, with hardwood trees and a thick natural buffer providing privacy. Build your dream home, use for camping, sport, or investing! Located approximately 45 minutes from the beach, with a variety of gorgeous views you'll want to come check it out! TBD 24acres Floyd Page Rd. Large Unrestricted Lots available! Pick what size you want. 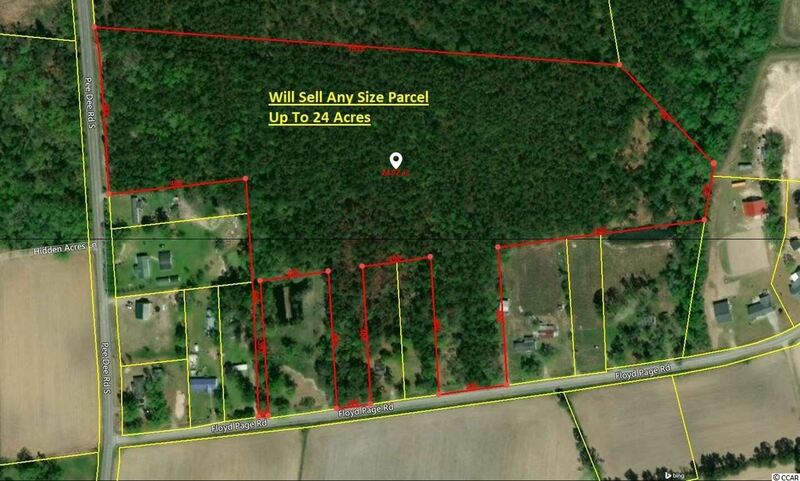 1, 3, 5, 10, or up to 24 acres available. Seller must approve of proposed survey prior to closing. 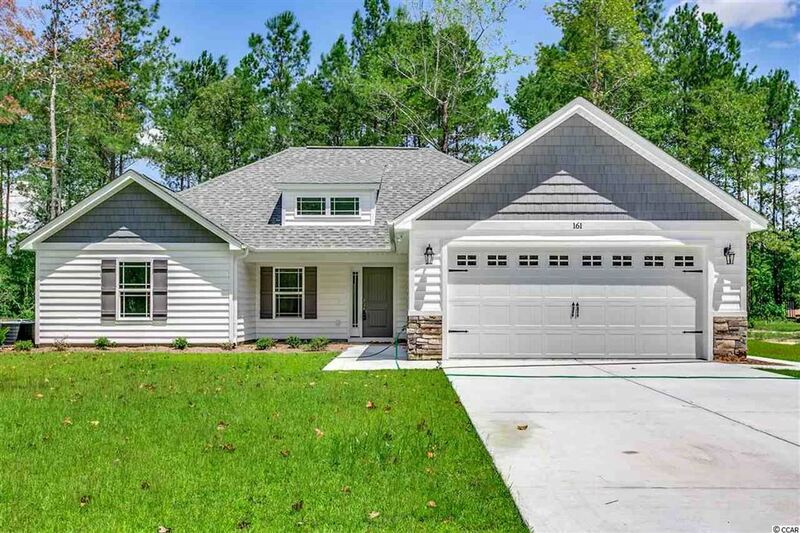 This is the perfect place to put your dream home in the much sought after Aynor School District but still be close to Myrtle Beach and Conway via Hwy 22 or Hwy 501. BASICALLY BRAND NEW, 3 BEDROOM, 2 BATH, ALL-BRICK HOME IS WAITING FOR A NEW OWNER. ONLY ONE YEAR OLD. 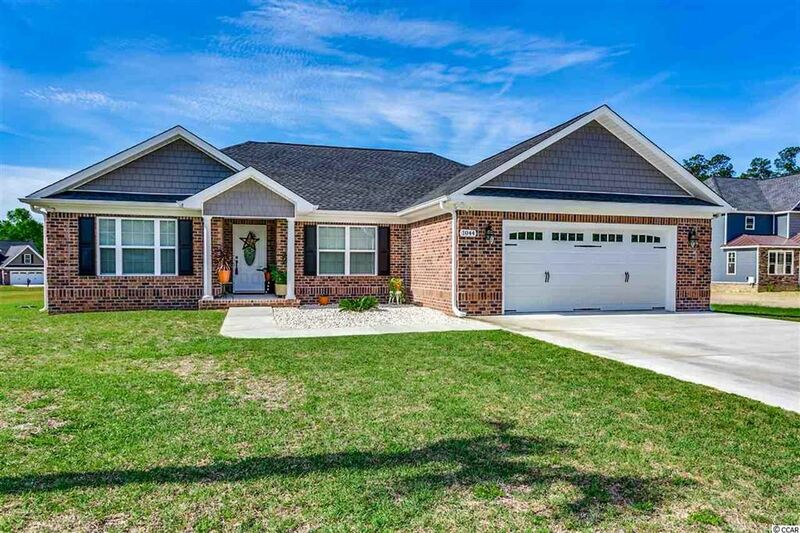 HOME SITS ON LARGE .5 ACRE LOT IN DESIRABLE BRICKYARD COMMUNITY IN AYNOR SCHOOL DISTRICT. FEATURES FORMAL DINING ROOM , CAROLINA ROOM, SPACIOUS KITCHEN , GRANITE COUNTER TOPS, UPGRADED CABINETS, GAS 5-BURNER STOVE AND STAINLESS STEEL APPLIANCES, CORNER GAS FIRE PLACE WITH MANTEL AND TV MOUNT ABOVE . VERY OPEN FLOOR PLAN WITH CATHEDRAL CEILING WITH LAMINATE FLOORING IN DINING AREA, LIVING ROOM, FOYER AND MASTER BEDROOM. THE MASTER BEDROOM AND BATH FEATURES A TREY CEILING, FAN, GARDEN TUB, OVER SIZED SHOWER, DOUBLE VANITY AND ONE LARGE WALK-IN CLOSET. EXTERIOR FEATURES INCLUDE CARRIAGE STYLE GARAGE DOORS WITH GLASS AND PULL DOWN SCREEN, SHAKE GABLES , QUOIN-ED BRICK CORNERS , EXTENDED CONCRETE DOUBLE DRIVEWAY , ENTRY SIDEWALK AND TASTEFULLY LANDSCAPED WITH RIVER ROCK STONE BEDS AND EXTENDED LARGE REAR CONCRETE PATIO. THIS HOME WAS CUSTOM BUILT WITH EXTRA INSULATION ADDED TO KEEP HEATING AND COOLING COSTS DOWN. THIS HOME IS A MUST SEE! Address: 222 Blue Jacket Dr.
Only 2 years old and built by Award Winning Builder. 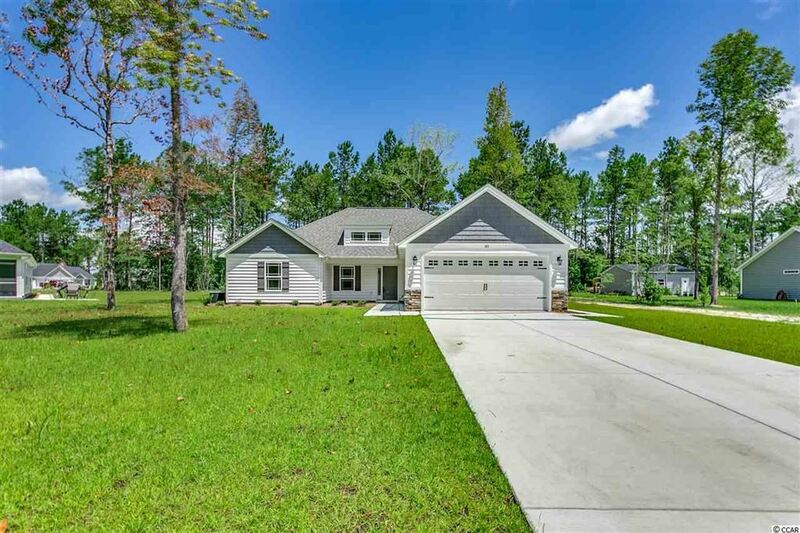 This 4 bedroom 2.5 bath 2-story home features a beautiful 2 story entry foyer, a spacious open living room with gas fireplace, open to the kitchen with a breakfast bar, center island with wine cooler, white cabinets with crown molding, stainless steel appliances, pantry and single bowl farmhouse sink, large breakfast nook. 9 ft. ceilings on the first floor. Large 1st floor master bedroom with tray ceiling and a walk-in closet, and bath with double vanity, garden tub and separate shower. Laminate flooring in Entry Foyer, Living Room, Dining Room, Kitchen, and Nook. Open staircase with wood pickets and three 2nd floor bedrooms and bath. Smooth ceilings, 30 yr architectural roof shingles, gutters, yard with irrigation, and pull down stairs to attics storage in garage. Desired Aynor school district!. Quaint, friendly small town country living within a few miles of Conway and only 29 miles to Myrtle Beach. Approx. 45 mins to Florence. Enjoy the fresh grown fruits and vegetables and local honey from the nearby farms. Just a few miles away is Galivants Ferry with access to the Pee Dee River for boating and fishing. Nearby is the Amphitheater in Marion. See this home today! New Construction in the Award winning Aynor School District. This 3BR/2BA home sits on approximately .50 +/- acre lot with NO HOA! Split bedroom floor plan, double sink vanity in the MBA, tray ceiling in the MBD, large open floor plan, great for entertaining. New Construction in the Award winning Aynor School District. This 3BR/2BA home sits on approximately .52 +/- acre lot with NO HOA! Split bedroom floor plan, double sink vanity in the MBA, tray ceiling in the MBD, large open floor plan, great for entertaining. 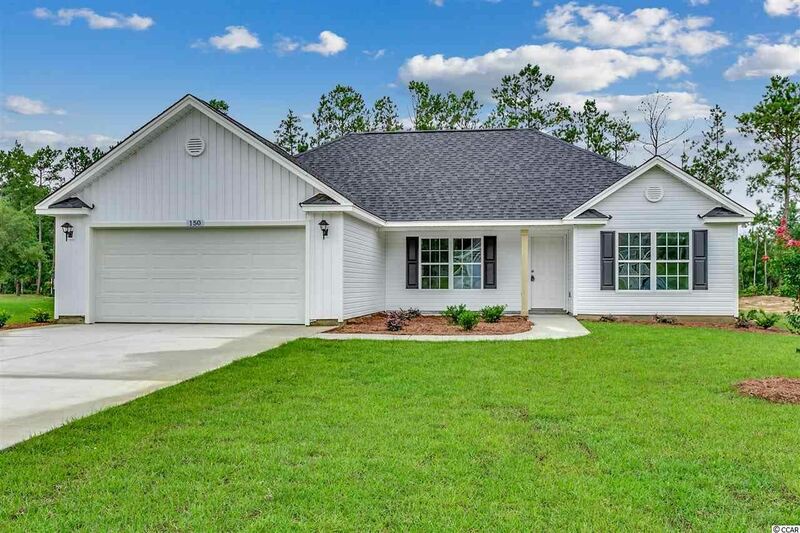 Don't miss out on the opportunity to own this very nice 3 Bedroom 2 Bath home within walking distance to Aynor Middle School. Home has been very well maintained and sits on .60 acre lot. Home has granite counter tops, custom cabinets, walk in closets, and much more.